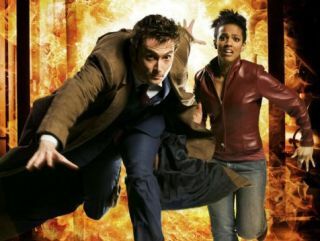 O2 customers will soon be able to download video clips from top BBC shows, including Doctor Who, The Office, Little Britain and other favourites, direct to their mobile phones. That's under a deal agreed by the mobile operator and BBC Worldwide. The agreement between O2 and BBC Worldwide, the BBC's commercial arm, covers a variety of content downloads. As well as video clips, wallpapers and ringtones derived from popular BBC programmes will also be available. The deal will initially provide around 300 pieces of media content, which will be sold through O2 Active, O2's mobile internet-based download and information portal. More content is expected to be added on a ongoing basis. "O2 is the largest UK operator by subscriber numbers so this is clearly a great deal for us," commented Peter Mercier, head of mobile at BBC Worldwide.